Welcome to the One Chance Night release day book blitz! 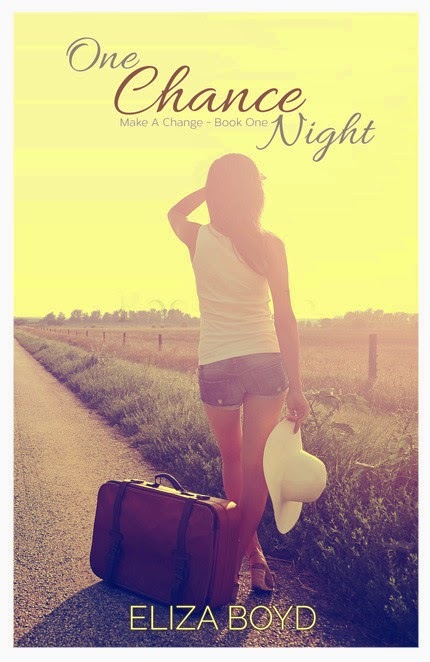 One night could change her life. One night could give her the strength to rediscover what's important. In one night, she could find love when she most needs it and least expects it. Eliza Boyd contemporary women’s fiction and romance author. Also an avid reader, she writes novels, short stories, poetry, and whatever else strikes her fancy. Born and raised in Northern Illinois, she now lives in sunny Arizona with her husband and her plethora of animals. When she’s not reading, writing, or working, she can be found walking around her neighborhood (for exercise, not for stalking), taking photos of her pets, or catching up on her favorite shows. Catching up really means binge-watching.